Your Well Water Problems, Handled! For just $45 a month (less than your daily spend at the coffee shop), you get a fast response and professional service anytime. 24/7/365. 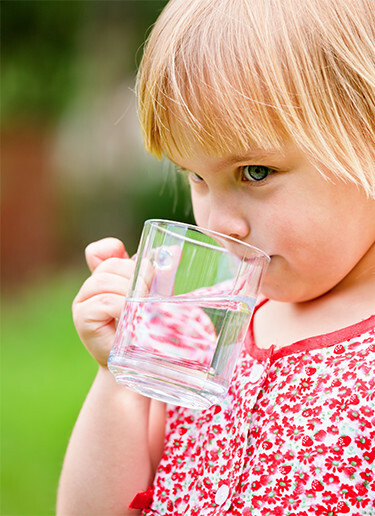 If you own a private well, it is just a matter of time before your well water system will fail. WelGard® provides warranty protection you need to protect against the inconvenience, hassle and most importantly the expense incurred when your well system fails. We are the single point of contact when you have a water failure. You call, and we get to work. One and done. And the best part? Other than your $499 yearly WelGard® coverage investment, there is NO additional expense to you. You make one call to us and we’ll take it from there. Simple as that. Well water systems are complex natural and mechanical systems with many components subject to failure or malfunction. Home warranty companies only provide optional limited coverage of your well pump, and typically carry a deductible and installation/repair fee. Other water services providers may offer annual maintenance contracts, but do not offer the comprehensive warranty protection offered by WelGard®. Committed to customer satisfaction, WelGard® is the oldest and most trusted well water system protection company in the region. As demonstrated in our testimonials, we have hundreds of satisfied customers who have avoided costly and inconvenient repairs and water outages by purchasing the WelGard® Protection Plan. I don’t see how it [the experience] could have been better. Woke up on a Saturday morning of a holiday weekend and had no water. After checking around and not finding any obvious reason, we called WelGard® . Within an hour of calling, we had a name and time frame of someone coming out to check out what was wrong and fix the problem. From the time of discovery by us, we had water flowing again, it was less than six hours! A holiday weekend, temps in the 20s and we had a new pump and water within six hours! No hassle-no worries! The entire process was great. Thank you so much. WelGard Customer – Sherel F.